Year 2012 has been god gifted to Mexico to attract visitors from all over the world. 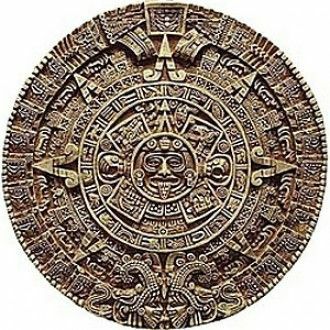 There is hype over the end of the world in December, 2012 and many people want to visit Mexico, the homeland of Mayans to experience this historic date. The government of Mexico on its part is pulling out all stops to promote the Mundo Maya region and the December 21, 2012 day. The Secretary of Tourism, Gloria Guevara and the Tourist Promotion Council of Mexico (CPTM) were in Texas, North Carolina and New York to promote Mexico as a principal tourist destination for the U.S. Market. Guevara and the general director of the CPTM, Rodolfo Lopez Negrete conducted meeting and talks with tour operators and business executives who are interested in the tourist promotion of Mexico. An event called Mexico Day was organized where the principal tour operators of Texas and North Carolina met. “Maya Calendar” was hosted by the magazine Conde Nest Traveler in New York where the program Mundo Maya and attractions in Southern Mexico were presented. December 21, 2012 marks the end of an era in the Mayan calendar and this has raised the urge in the international community, especially in the U.S.A. to visit the Caribbean land and witness the event and get soaked in the culture. It has been reported that the 2012 prophesy has increased the tourist incoming by 19% and this makes Mexico a principal touristic destination. The Mundo Maya region includes the states of Campeche, Chiapas, Tabasco, Quintana Roo, and Yucatan. These states estimate to receive more than 52 million national and international visitors, and are expected to spend more than 200 billion pesos. Among these Quintana Roo is the major centre with many Mayan relics and beaches. Riviera Maya real estate region in Quitana Roo consists of tourist towns such as Cancun, Playa del Carmen, Cozumel, Tulum and Akumal. The Integral System of Migratory Operation (SIOM) has affirmed that in May more than 467 thousand visitors from the U.S.A. will arrive in Mexico. This represents an increase of 2.2% in comparison with 2011.